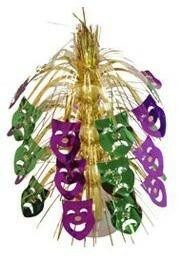 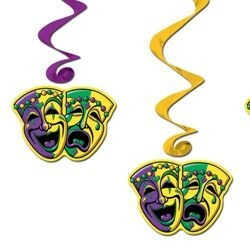 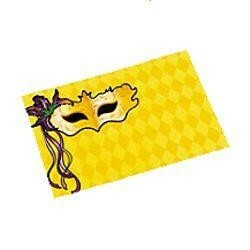 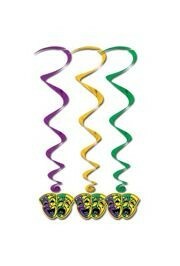 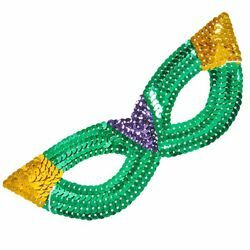 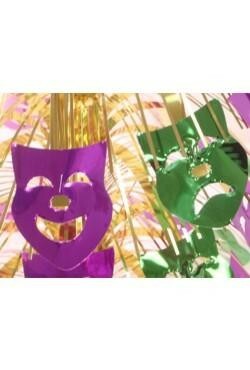 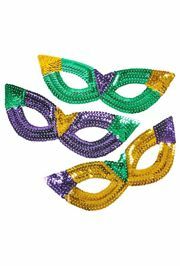 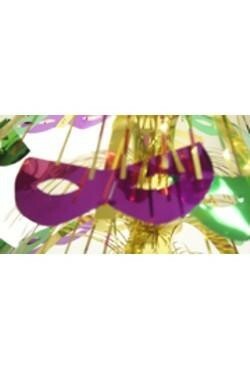 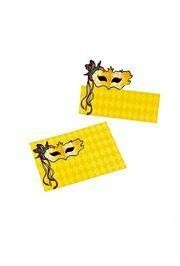 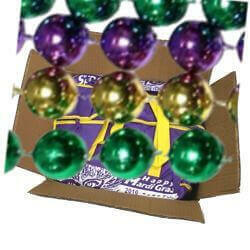 A set of 5 pairs of comedy and tragedy masks hanging on purple, green, and gold 30" swirls. 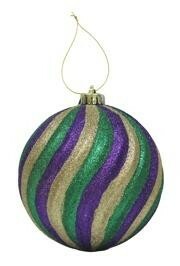 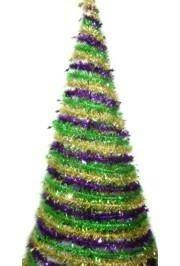 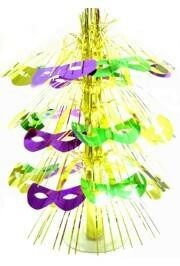 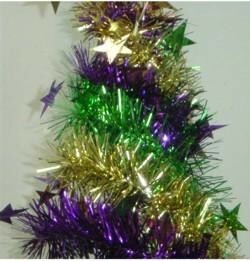 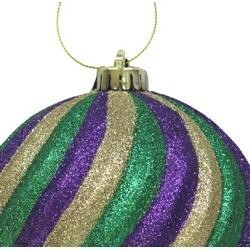 Collapsible Mardi Gras purple green and gold swirl tinsel tree with star edge. 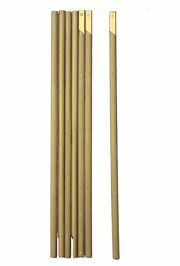 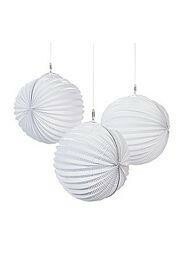 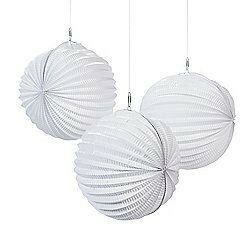 Comes with poles and stand. 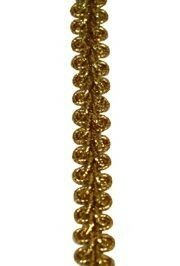 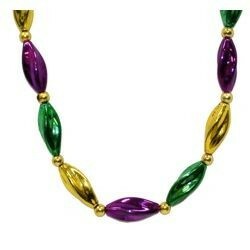 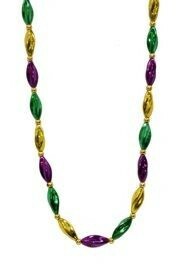 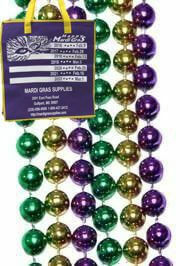 The jumbo swirls on this Mardi Gras necklace make it perfect for all Mardi Gras celebrations. 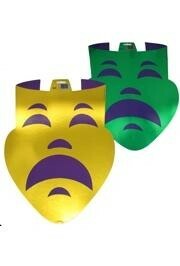 Green and Gold metallic Tragedy faces with purple eyes, noses, and mouths. 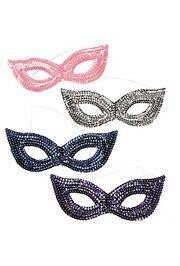 These faces are 12.5 inches x 18 inches. 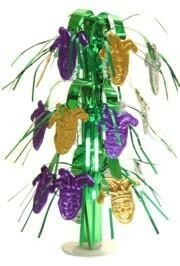 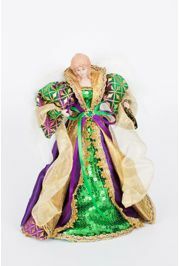 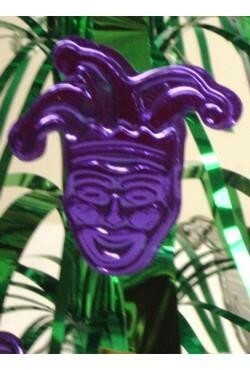 A centerpiece made up of cascading metallic purple, green, and gold Comedy and Tragedy faces. 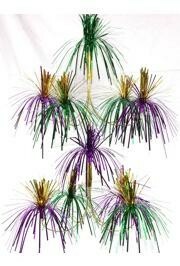 This centerpiece is 18 inches tall.